Dental crowns help you restore your smile after wear and tear or decay starts to affect the appearance or structural integrity of your teeth. Keep reading to find out when you should talk to your dentist about getting dental crowns to improve your smile. A dentist can use a crown to hold a weak tooth together to help keep it from breaking. Whether you have decay or a crack, a dental crown provides additional strength to keep the tooth from cracking or breaking any farther. If severe decay has caused a huge hole in the tooth and there is not much of the actual tooth left, the dentist can use the crown to cover the filling. This prevents the tooth from decaying more and also allows you to restore function. Everyday wear and tear can change the aesthetic appeal of your teeth. If you have misshapen or discolored teeth, the dentist can use a dental crown to cover up the issue and help you get a bright, beautiful smile. 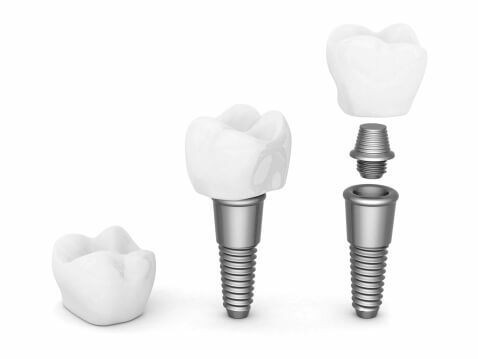 Dental crowns are also used to hold a dental bridge into place or to cover a dental implant. If you are missing one or more teeth, your dentist might choose this option to restore the aesthetic appeal of your smile. Whether you need a dental crown or a general checkup, Dr. John Carson is here for you. As one of Tucson’s top dentists, Dr. Carson offers general, restorative, and cosmetic dentistry services to meet all of your needs. To learn more about our services or to schedule an appointment, visit us online or call (520) 514-7203. Gum disease is a serious oral health issue. The best way to avoid it is to learn more about it and properly care for your teeth and gums. Keep reading to learn about the different types of gum disease and the damage they can cause. Gingivitis is the initial stage of gum disease. When plaque and bacteria develop at the gum line, they might cause redness, swelling, and bleeding gums. Although smoking, diabetes, aging, and genetics could increase a person’s risk for developing gingivitis, it is most often caused by poor oral hygiene habits. If you notice gingivitis early, your dentist can still get rid of it. If you do not catch it early, though, it could progress to a more serious infection caused periodontal disease. Pay attention when you brush your teeth to see if you notice any redness or swelling that might be signs of gingivitis. Without the proper treatment, gingivitis can become periodontitis. This form of periodontal disease develops when the plaque and bacteria find their way below the gum line. If a person has periodontitis, it will destroy the bone and tissues that hold the teeth in place. The gums also start to separate from the teeth and leave large pockets where more plaque and bacteria can develop. If you do not get treatment for periodontitis, it will attack the tissues and bone even more. It will also cause bigger pockets at the gum line, which leaves you even more susceptible to issues with plaque and bacteria. Without the proper attention, this could cause you to lose one or more of your teeth. If you brush and floss your teeth daily and schedule regular visits to Dr. John Carson, you can prevent all forms of gum disease. As one of Tucson’s top dentists, Dr. Carson helps you get the deeper cleanings you need to keep your teeth and gums healthy. To learn more about our dental services, visit us online or call (520) 514-7203. Crooked teeth do much more than mess up the aesthetic appeal of your smile. They can also negatively affect your oral and overall health. Keep reading to find out why you should talk to your dentist about straightening your teeth. Straighter teeth are much easier to clean. This allows you to be more effective with your daily brushing and flossing routine. When you can remove food and bad bacteria before they can cause plaque, it significantly reduces your risk for tooth decay, cavities, and periodontal disease. It is hard to get your toothbrush and floss in between crooked teeth. Straightening makes it much easier to keep them clean and free from disease. If bacteria and infections develop in your mouth, they can enter your blood stream. This puts you at a higher risk for developing heart disease or dealing with a stroke. If you are diabetic, it can also make it harder to control your blood sugar. When your teeth are straighter and easier to clean, though, you can reduce your risk for these issues so you can stay healthy. A misaligned bite can also affect your jaw and the way you speak. If you work with your dentist to straighten your teeth, you can reduce your risk for jaw issues that might affect how you talk and chew. This also helps you put less wear and tear on your tooth enamel so your natural teeth remain strong and healthy. If you are serious about straightening your teeth, you should schedule an appointment with Dr. John R. Carson. Dr. Carson can use clear orthodontics to gradually straighten your teeth until you have a straighter, healthier smile. To learn more about our dental services or to schedule an appointment, visit us online or call (520) 514-7203. Even if you are missing one tooth, it could negatively affect your entire bite and the overall function of your mouth. Dental implants help you restore this function and regain the natural aesthetic appeal of your smile. Keep reading to learn more about the advantages of dental implants. If you do not want replacement teeth that are obviously fake, you should talk to your dentist about dental implants. They can be made to look just like your natural teeth to restore your original smile. Some replacement teeth make it difficult to eat the foods you love. Dental implants, though, are extremely strong and durable, which makes it easy to live the life you want to live. Getting dental implants also helps you maintain your jawbone so you can enjoy optimal function of your mouth. As long as you brush and floss your dental implants and visit your dentist regularly, your dental implants can last a lifetime. If you want a long-term solution for your missing teeth, dental implants are it. 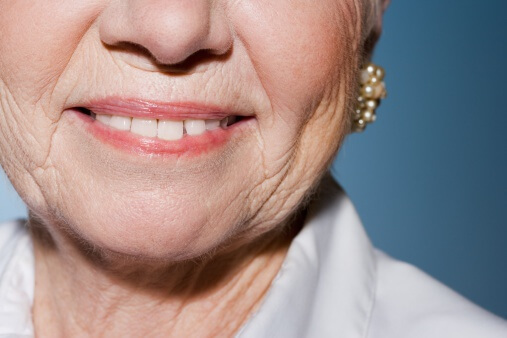 When you are missing teeth, your cheeks might start to look sunken and hollow. With the help of dental implants, though, you can restore the natural shape of your face. Other replacement teeth options might make it difficult to speak the way you did before you lost your teeth. Since dental implants act like a natural tooth they do not affect your ability to talk. 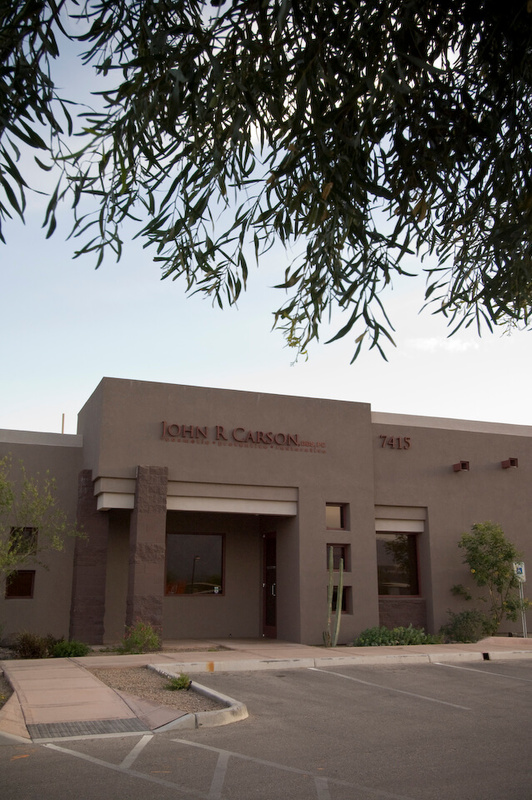 Dr. John R. Carson is one of Tucson’s top dentists. Whether you want dental implants or porcelain veneers, Dr. Carson is here to ensure that you get the best care for all of your oral health needs. To learn more about our services or to schedule your next appointment, visit us online or call (520) 514-7203. Preventative dentistry is designed to help you avoid major oral health issues that could affect your teeth and gums. If you start preventative treatments early, you can prevent a lot of problems in your mouth. Keep reading to learn more about some of these strategies. One of the most basic aspects of the preventative strategy is to regularly clean and examine your teeth. Most people should visit their dentist at least once every six months to get these cleanings and exams to ensure that your teeth and gums remain healthy and free from disease. If you get regular cleanings and exams, you can prevent a lot of oral health issues. Eating and drinking on a daily basis can cause plaque to buildup on your teeth, which can lead to decay and cavities. Your dentist can use dental sealants to fit over the grooves of your teeth and lower your risk for dealing with decay. The sealants do a great job of keeping food and bacteria away from the grooves of your teeth to lower your risk for decay. The dentist can also create custom mouth guards that you can use during contact sports to protect your teeth and gums. These mouth guards keep your upper and lower teeth from getting damaged while you play. It also helps to protect your tongue, your lips, and your cheek lining. Studies support the fact that custom mouth guards from your dentist provide significantly more protection than over the counter guards such as though from the sports or drug store. During your regular dental exams, your dentist can examine your mouth to see if there are any signs of oral cancer. Spotting this kind of cancer early helps you get the treatment that you need to prevent it from spreading. In today’s world these screening are more important than ever as the literature shows that oral cancer is on the rise. Tucson’s Dr. John R. Carson can help you prevent major oral health issues and keep your teeth and gums in the best condition. As one of Tucson’s top dentists, Dr. Carson is here to help you keep your teeth healthy and beautiful. To learn more about our services and how they can help you get a smile you love, call (520) 514-7203. If you are embarrassed by your smile, your dentist can help you find the right cosmetic solution for your needs. Read on to find out how porcelain veneers can help you get a smile you want. Stained or discolored teeth can severely take away from the overall aesthetic appeal of your smile. If stains keep you from smiling as much as you want to, you might want to talk to your dentist about porcelain veneers. These thin coverings are placed over the discolored teeth to give them a uniform color that helps you get a smile you love. If any of your teeth are chipped or fractured, it will throw off the aesthetic appeal of your smile and the balance of your bite. The dentist can use porcelain veneers to cover up these chips or fractures and give you back a complete smile. With such a simple solution, you do not have to settle for a smile with chips or fractures. Gapped teeth make a lot of people feel self-conscious about their smiles. If you have gaps in your teeth and want to find a way to improve your smile, talk to your dentist about porcelain veneers. These thin covers can fill in the space between your teeth to give you a more wholesome, complete smile. If a few crooked teeth are throwing off your entire smile or bite, porcelain veneers can help you improve your smile and/or bite. This allows you to gain more confidence in your smile so you feel better about showing it off on a regular basis and in the right situations they can also help improve the health of your bite. Schedule an appointment with Dr. John R. Carson to find out if you are a good candidate for porcelain veneers. With a wide range of general, restorative and cosmetic dentistry services, we help you get a healthy and beautiful smile. To learn more about our services, visit us online or call (520) 514-7203.